It is definitely true that added sugar (sucrose and high fructose corn syrup) contains empty calories. There are no nutrients in it and if you eat a lot of sugar then you’re likely to become deficient because you aren’t getting enough foods that actually have nutrients in them. But this is just the tip of the iceberg; there are other, much more serious dangers of sugar that are now reaching mainstream attention. Sugar, mainly due to the high fructose content, is being implicated as a leading cause of obesity, cardiovascular disease and type II diabetes . How does fructose do this? Well, fructose is metabolized strictly by the liver over time, causing non-alcoholic fatty liver disease, insulin resistance, elevated triglycerides, abdominal obesity and high cholesterol . Fructose also makes our brains resistant to a hormone called leptin, which effectively makes our brains want to get fat . 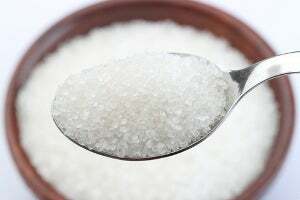 This way, eating an excess of added sugars sets up a relentless biochemical drive in the brain to keep eating sugar, getting fatter and eating even more sugar. For example, DHA, an Omega-3 fatty acid derived from animals, makes up about 40% of the polyunsaturated fats in the brain. Being deficient in Omega-3 (very common) is associated with a lower IQ, depression, various mental disorders, heart disease and many other serious diseases . There are three main sources of Omega-3 fats: ALA (from plants mostly), DHA and EPA (from animals). The plant form, ALA, needs to get transformed into DHA or EPA in order to function correctly in the human body. There is some evidence that this conversion process is ineffective in humans . 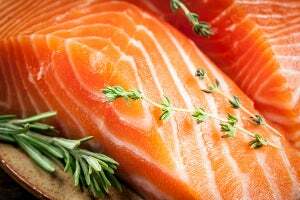 Therefore, it is best to get Omega-3 fats from animal sources, including fish, grass-fed meat, Omega-3 enriched or pasturized eggs, or fish oil. We are all unique, and subtle differences in genetics, body type, culture and environment can affect which type of diet we should eat. Some people do best on a low-carb diet while others may do fine on a vegetarian high-carb diet. The fact is, what works for one person may not work for the next. To figure out what you should do, a little self experimentation may be needed. Try a few different things until you find something that you enjoy and that you think you can stick to. Different strokes for different folks! Trans fats are also known as partially hydrogenated oils. They are made by mixing unsaturated fats with hydrogen gas at a high heat to make them resemble saturated fats. This process is very disgusting and it amazes me to think that someone thought these fats would be suitable for human consumption. They are rich in vitamins, minerals, fiber, antioxidants and an endless variety of trace nutrients that science has just begun to uncover. 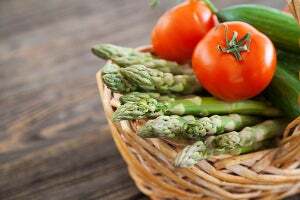 In observational studies, eating vegetables is associated with improved health and a lower risk of disease . I recommend that you eat a variety of vegetables each day; they are healthy, fulfilling and add variety to the diet. The skin makes Vitamin D when it is exposed to ultraviolet rays from the sun, and this is how we got most of our daily requirement throughout evolution. However, today a large part of the world is deficient in this critical nutrient. In many places, the sun simply isn’t available throughout most of the year. Even where there is sun, people tend to stay inside a lot and use sunscreen when they go out, but sunscreen effectively blocks Vitamin D generation in the skin. Unfortunately, it is extremely difficult to get enough Vitamin D from the diet. If getting more sun is not an option, taking a Vitamin D3 supplement or a tablespoon of cod fish liver oil each day is the best way to prevent/reverse a deficiency. 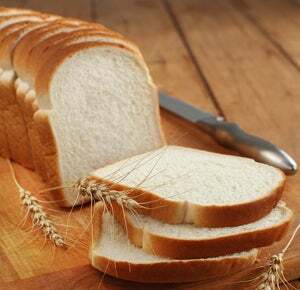 There are some nutrients in high-carb foods like grains that can be beneficial. However, when you process the grains you remove most of the nutrients and then there’s nothing left but the bad stuff, massive amounts of easily digestible glucose. I personally don’t think that grains are necessary at all, the nutrients in them can be acquired from other healthier and more nutritious foods in greater amounts. But it is very clear that whole grains and unrefined carbohydrates are at least a lot better than their refined, processed counterparts . “Nutritionism” is the idea that foods are nothing more than the sum of their individual nutrients. It's a trap that many nutrition enthusiasts tend to fall into — but it’s simply not true. Nuts, for example, aren’t just shells loaded with Omega-6 fatty acids in the same way that fruits aren’t just watery bags of fructose. Rather, these are real foods with a massive variety of trace nutrients. The vitamins and minerals, the ones you can also get from a cheap multivitamin, are just a small part of the total amount of nutrients in foods. Therefore, supplements, at least the supplements we have today, are not able to replace the nutrients we get from real foods. They may lead to short-term results, but as soon as you start eating junk food again you will gain the weight back. And then some. This is called yo-yo dieting and is extremely common. Most people that lose a lot of weight on a diet end up gaining it back whenever they “stop” the diet. As the food system has become more industrialized, the health of the population has deteriorated. During food processing, many of the beneficial nutrients in the food are removed. Not only do they remove healthy nutrients like fiber, but they also add other very harmful ingredients like added sugar, trans fats and refined wheat. Basically, processed foods have less of the good stuff and a LOT more of the bad stuff. The most important thing you can do to ensure optimal health is to “eat real food.” If it looks like it was made in a factory, don’t eat it!